In old age, one should do something monumental. 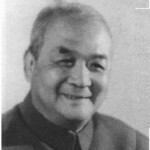 Xiao Qian was a famous essayist, editor, journalist and translator from China. His life spanned the country before and after the establishment of the People's Republic of China.